Killing Floor by Lee Child. A Jack Reacher novel. I decided to read the debut novel by Lee Child, Killing Floor, as I had heard so many people speak of this writer in good terms. I am glad I did. The book was utterly unputdownable….is that a word – who cares, it is certainly an experience! Bieng a first novel it is all the more remarkable, very engaging and great character development. 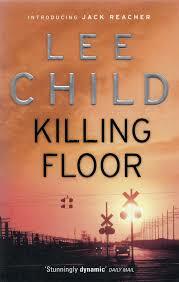 Killing Floor follows the exploits of one Jack Reacher and it cuts straight to the action. Reacher is a wanderer and a former Major in the United States Army Military Police Corps.